Free Yearly Horoscopes (2019) - Love, Career, Health + More! Get a free yearly horoscope reading to see what the start of 2019 has in store for you! Click below for a free 3-minute astrology reading, otherwise let Psychic Guild’s very own AstroGirl guide you through the next six months! AstroGirl’s cosmic overview for 2019… the good, the bad and the ugly. Seeking EXPERT Advice on Love/Career/Finances? Each one of us go through phases when we desperately need advice of an Expert to know if we are heading in the right direction, if we are lacking somewhere or if we need to do something that can make our present situations better. There are thousands of websites online but it is hard to judge which one can really help us. Taking a risk and trying that new ad psychic may also take your hard earned money too. We have reviewed Top psychic websites which specializes in Love, Career & Finance-scopes all for FREE. Want a Live Yearly Horoscope Reading? Go to ‘advisors‘ section to select a psychic you like. Get your FREE Weekly Horoscope Reading now! 1 Seeking EXPERT Advice on Love/Career/Finances? 2 Want a Live Yearly Horoscope Reading? 3 What is a Love Reading? 4 What is a Love Compatibility Reading? 6 What is a Career Reading? 7 What is a Finance reading? 8 Can you get a combined Love, Career & Finance reading? 9 How much will you have to pay for a Reading? What is a Love Reading? Love reading or Love Horoscope is very popular these days. Each one of us at some point has gone a Love horoscope on the internet. It gives one clarity about their current relationship, the potential new Love, reunion with a past lover etc. Love reading is not just about a couple. It is about 2 people who care for each other – Parents, siblings, friends, relatives, neighbors or anyone with whom you are attached to. Love reading can be a powerful booster especially if you are starting a new relationship or going through a tough phase in life. In fact, you can take this reading anytime in your life when you feel there is a need. It is important to ask the right questions to a reader so that you can get the right answers. How can we resolve current relationship issues? What can i do to make my relationship grow stronger? What is the future of our relationship? When will i get into a relationship? Is he/she going around with someone else behind my back? When will my relationship end? A Keen Psychic since 2001, MoonLight Bay has given 2341 readings so far with an average rating of 5 by their Keen Clients. MoonLight is an expert in Western Astrology , I-Ching, Psychic Visions & Reiki meditation. He is a healer and a positive practitioner maybe that is why he has got such good ratings for the consultations he provided. Psychics who do Reiki have a natural healing vibration which means anyone who talks to them or comes in contact with them heals naturally even if they are not taking a reiki healing from them. That’s a bonus point! He is one of the best psychic and astrologer listed under the Love and Relationships category that too with a great experience and knowledge. What is a Career Reading? After a relationship reading, a Career reading is the second most popular choice these days because getting a job, sustaining and living in a constant fear of getting terminated are some of the major problems not just in the country but around the world. 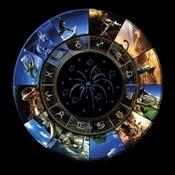 Psychic Milu is a Keen Trusted Western Astrologer since 2003. His average rating by his clients on Keen is 4.9 . He is a Clairvoyant and majorly uses Western Astrology, Remote viewing, Dream interpretations etc to provide a Horoscope forecast or a Reading to his clients. You will find his readings to be very honest and straightforward because he will only tell you what he sees in your Natal chart using Astrology and current transit of planets – to make you aware of the consequences coming up and to give you a direction. A Career Reading from Psychic Milou can be an extraordinary experience if you are facing any issues in your professional life or you just want to know what is in store for you in the coming future. What is a Finance reading? This is another most popular readings which people choose because everyone wants to know if they will have enough finances to make that big purchase for family or just maintaining a good bank balance for future financial security. When can i expect my Financial situation to improve? What can i do to make my financial situation better? These are just some samples, you can always modify them for your readings. Keen psychic and Clairvoyant Nicky Power is one of the most popular psychics on Keen.com since 2001. He has given 48,758 readings so far with a great rating of 4.6 . 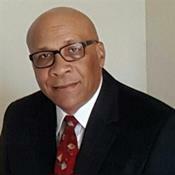 He can give you a Finance Reading based on Western Astrology and other psychic techniques like Remote Viewing, Runes, Angel readings etc. Whether the question is about how to grow your money or about savings or about any loss, Nicky will help you all his best knowledge and expertise. Press the button to get in touch with Clairvoyant Nicky Power. Can you get a combined Love, Career & Finance reading? The answer is “YES, you can“. It is always upto you to take a combined reading or a specific reading. If your reader specializes in all three fields then it is definitely an icing on the cake because it saves time and money too. Ask Fran is a Keen Psychic since 2001, has given 115,716 readings so far with an average rating of 4.5 by their Keen clients. Being a Top rated Keen psychic is not easy but with consistency and accurate readings with his experience of 25+ years, Ask Fran is now one of the most featured psychic on Keen for all major matters of life. Fran is a Western Astrology expert, Clairsentient, Clairvoyant and an empath. He will simply ask your details and cast your stars to fetch a reading for you through your Natal chart and Transit of plants. He is an honest and calm reader who always tries to make the environment light as much as he can so that the reading is not boring for you. He will focus on what you should see rather than what you want to hear. How much will you have to pay for a Reading? It totally depends on you, really! From the websites we have mentioned in our post above, you can select your own psychic with a skill you like and for a price you want. You will see many psychics between the range of $1.99 to $50 per minute, you can select the best you feel! Moreover, The websites are giving great discounts for new sign ups like – First 3 minutes Free, 10 minutes reading at just $1.99 etc! Choose appropriate psychic/reader that has expertise in what you want to ask. Give your reader time to understand your situation. Asking crisp but appropriate and related questions. Ask open ended questions as much as possible. Speak when its your turn or when you are asked to speak. Arguing with the reader that you know better than them. Try to accept what they have to say instead. Now you know all the insight about these readings, so what are you waiting for? Grab a reading now. After all it is all FREE!